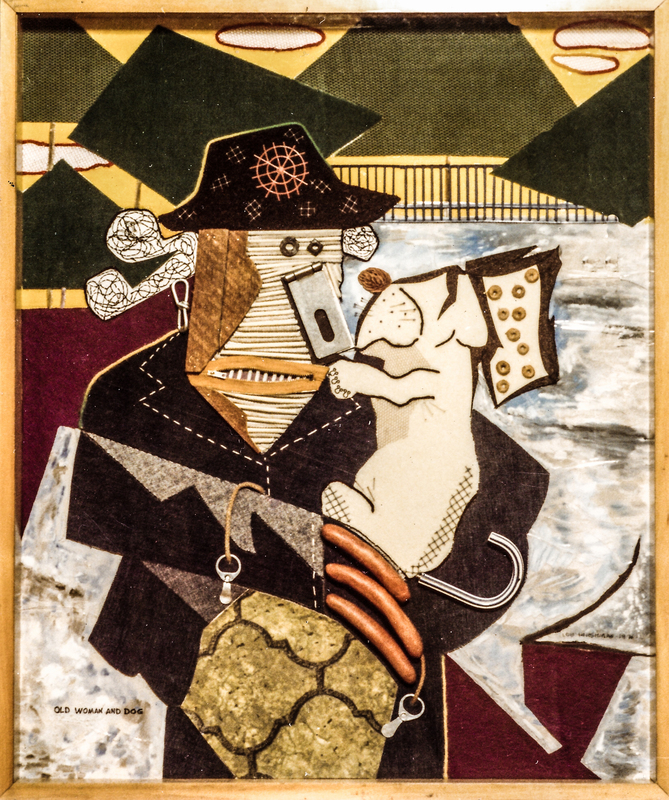 While a companion piece to “Lady with Cat” done in the same year, this one is different – it is not just a pet and pet owner. Indeed, of all of Hirshman’s artworks, this is the one with the closest, most loving spark between characters. It is also the most “cubist” example of Hirshman’s works, a style that proves how well he could create in the different worlds of surrealism. "Lady with Cat - 1976"